How could you ever go wrong eating something so melodiously lyrical and so dramatically picturesque? 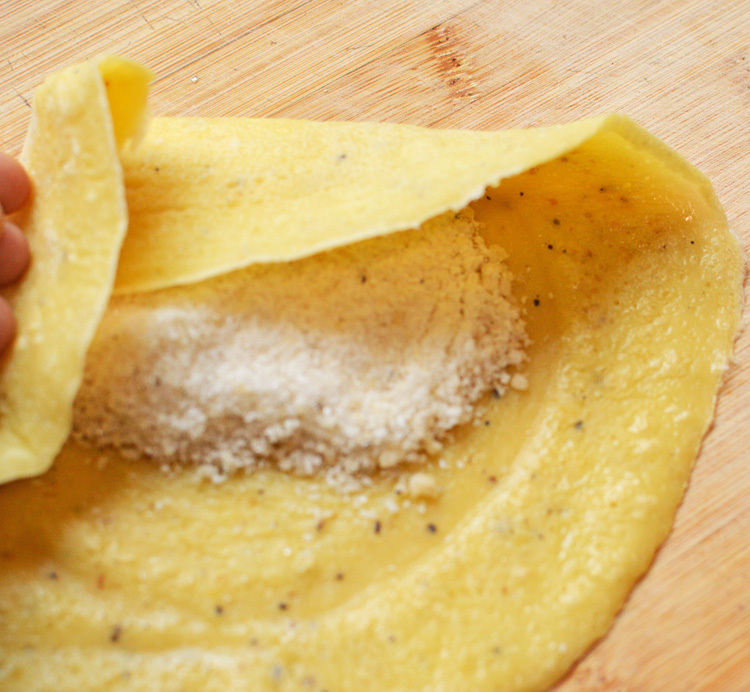 These bountiful babies are rather romantically called love letters, and why not! Gracefully golden and poetically charged as they are, these fattened cigars are also tastefully sublime. 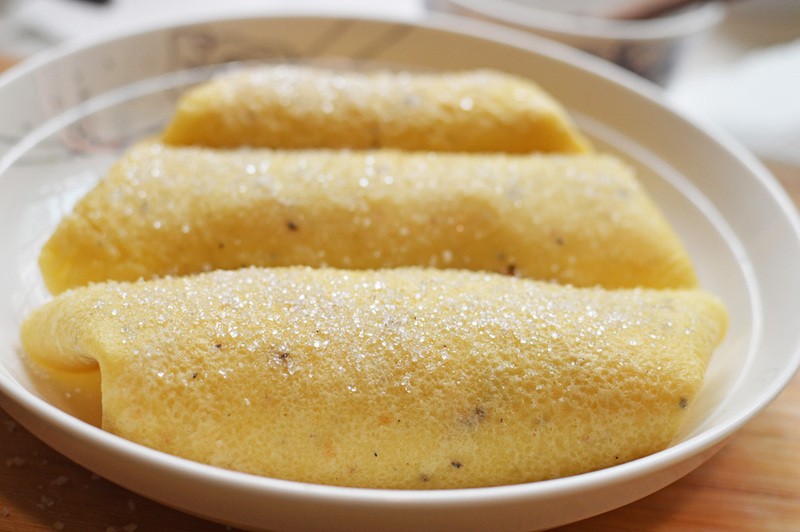 Love letters, as gorgeous as they sound are really just thin crepes that are filled in with coconuts and sugar. 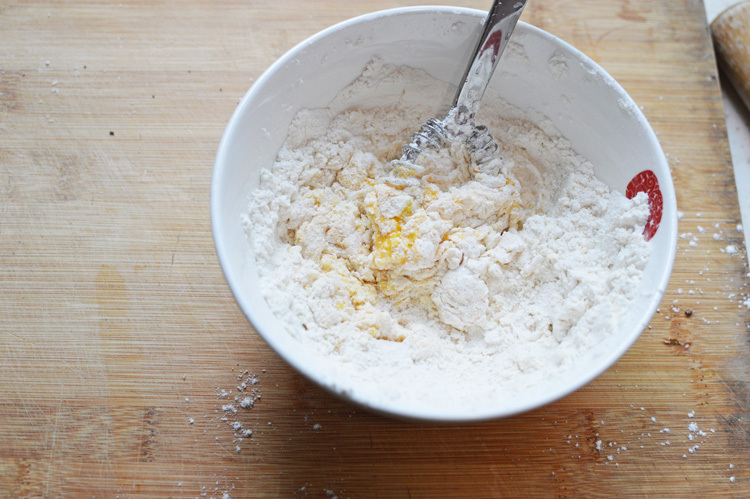 the ingredients are simple enough. 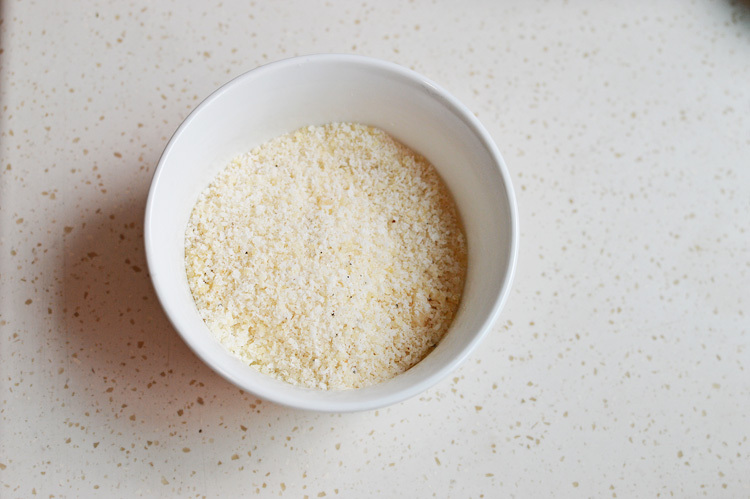 Sugar, desiccated coconut. 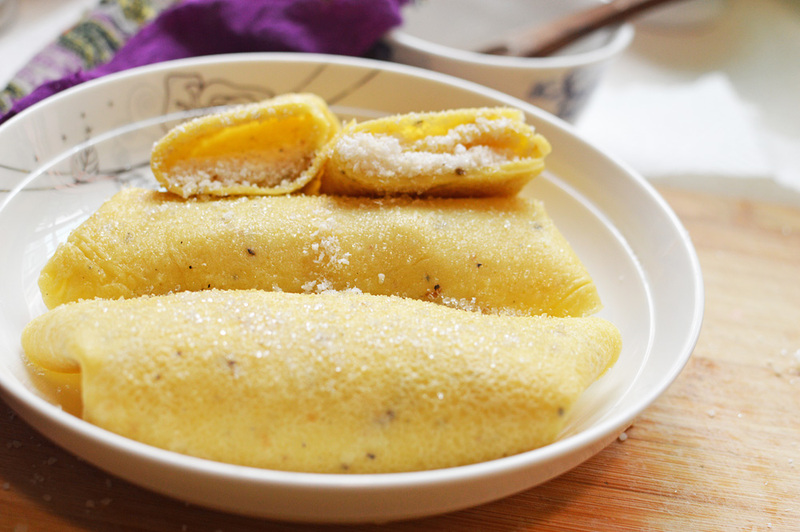 flour, egg and cardamom pods. 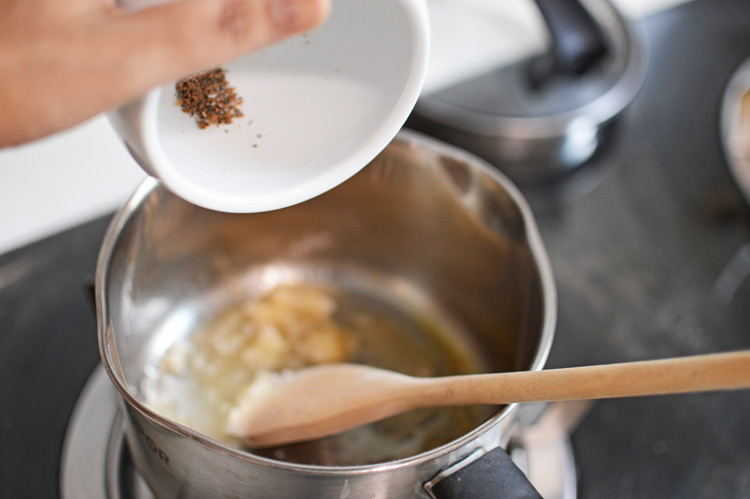 this recipe requires cardamom powder and its a good practice to make some from scratch rather than buying the dried up bottled stuff. 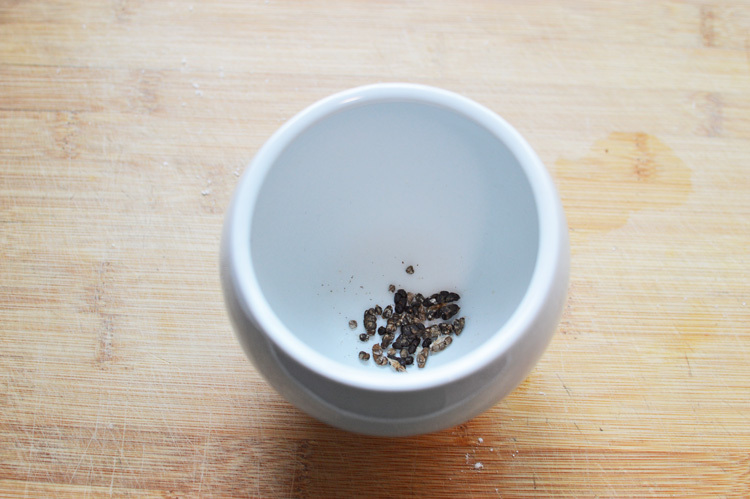 All you really need is a mortar and pestle. 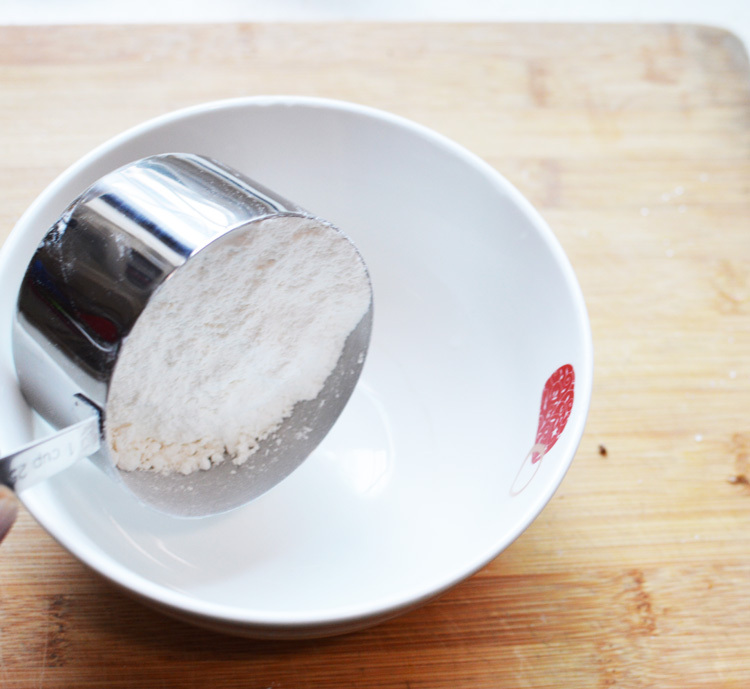 to make a somewhat fine powder. 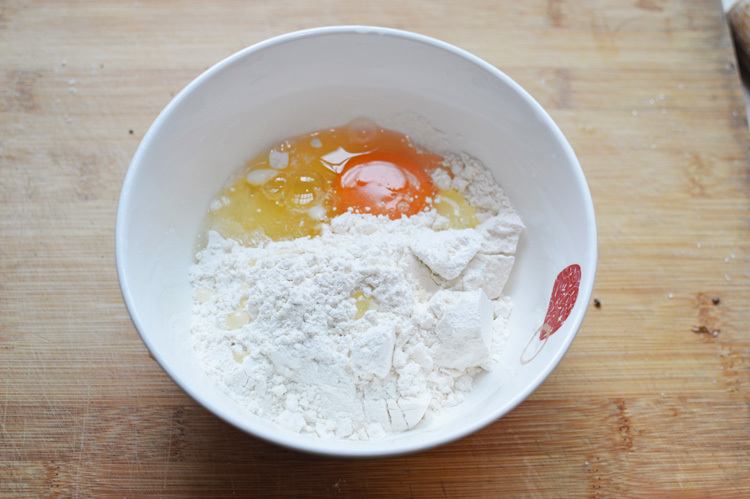 crack in the egg and get mixing. somewhere here I realized I should have used a bigger bowl, but a bit of mess never hurt anyone. 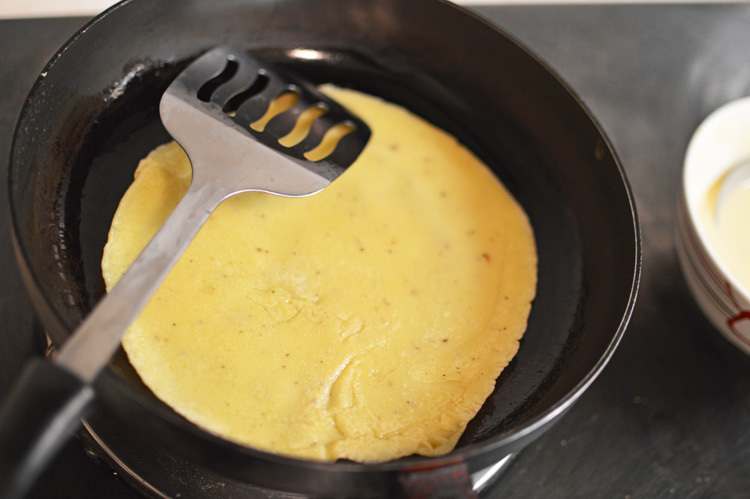 we need a thin batter and an egg alone won’t thin it. this is the consistency we are looking for. It should be thin and pourable, with no visible lumps. 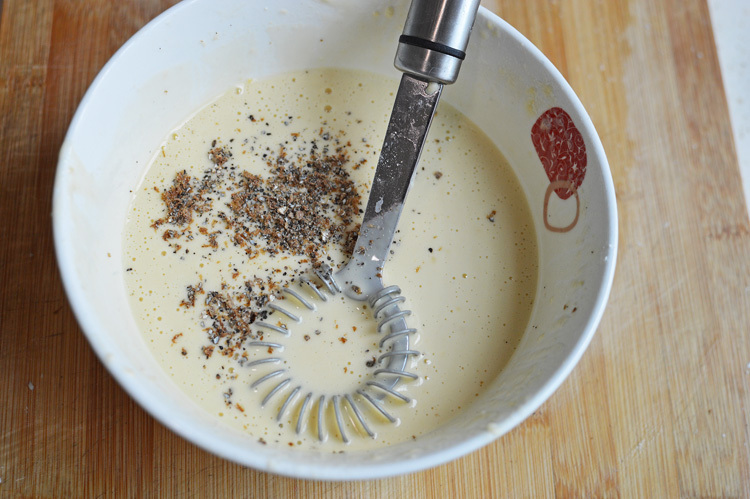 add in about 3/4ths of the cardamom powder. Mix well and keep aside. 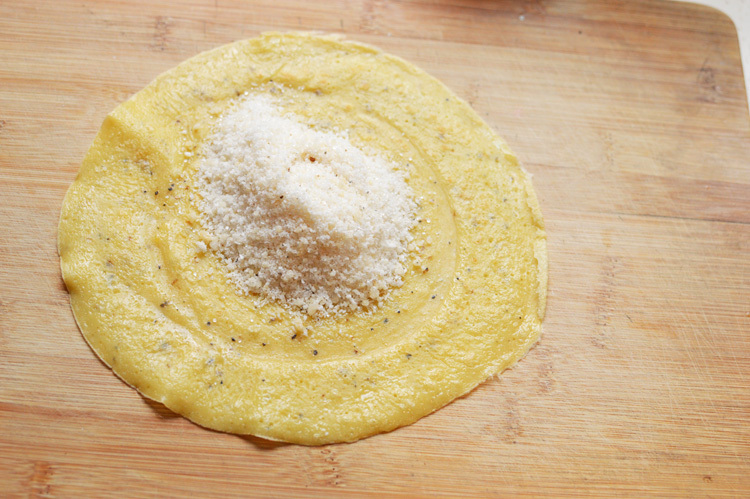 now this step is entirely optional and not a part of the authentic recipe, but I like to do it. 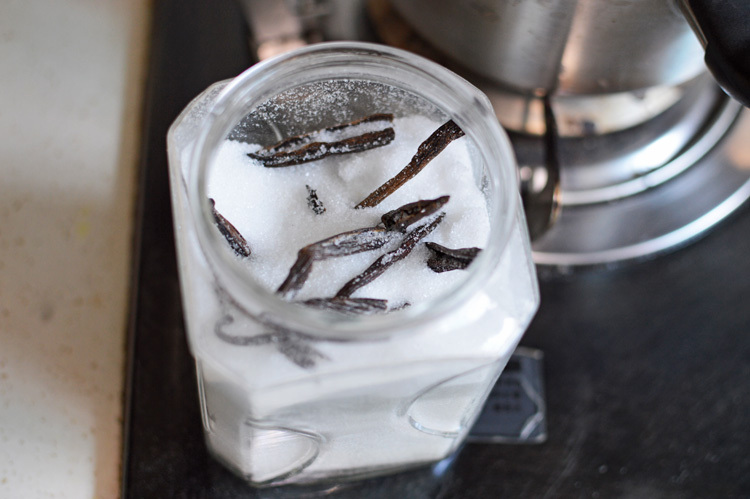 Take a good heaping tablepsoon of vanilla sugar. 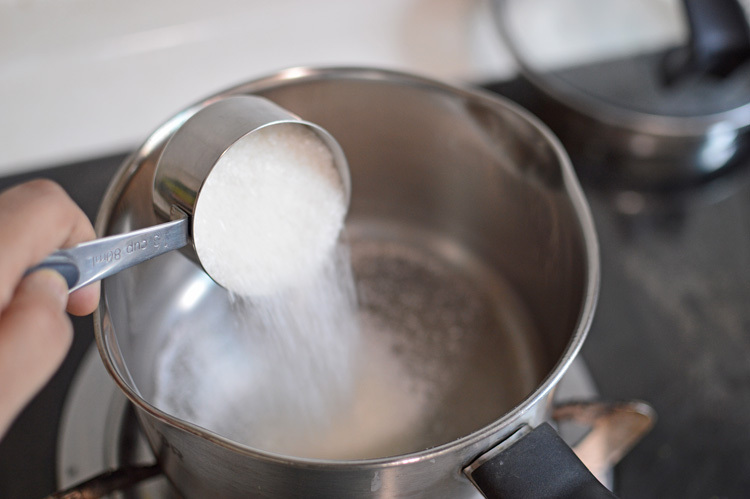 and half the sugar of this recipe and put it in a pot over slow flame. 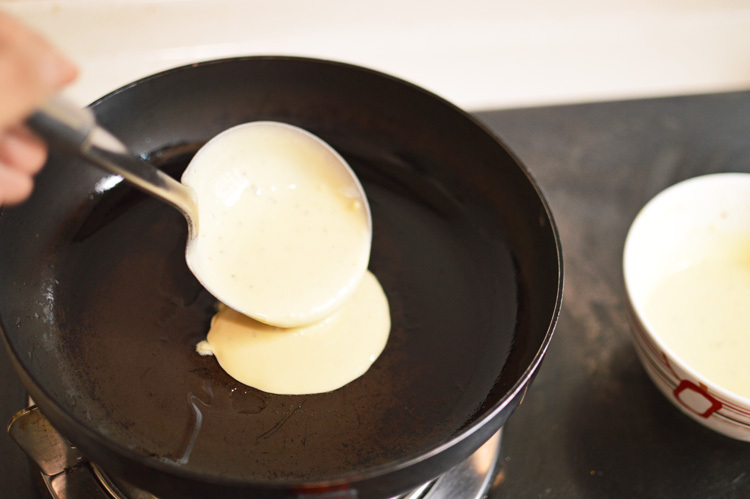 until it very lightly caramelizes and just starts turning golden. 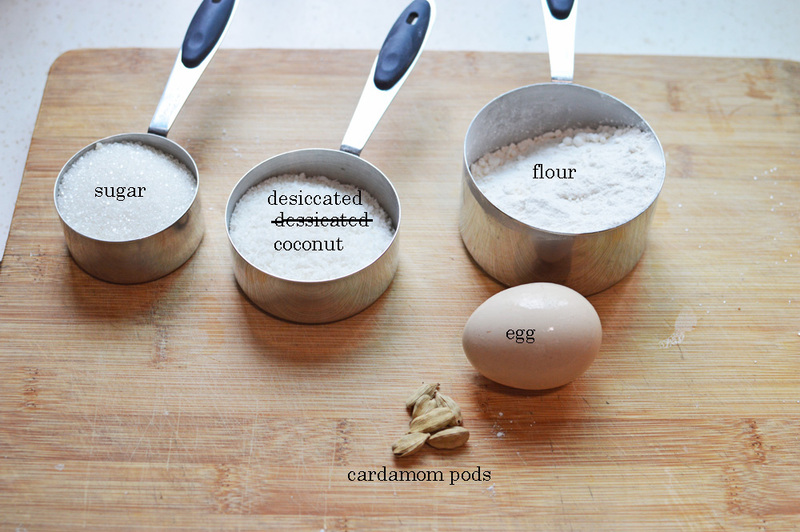 at which point we add in the remaining cardamom powder. turn off the flame and stir it all in. 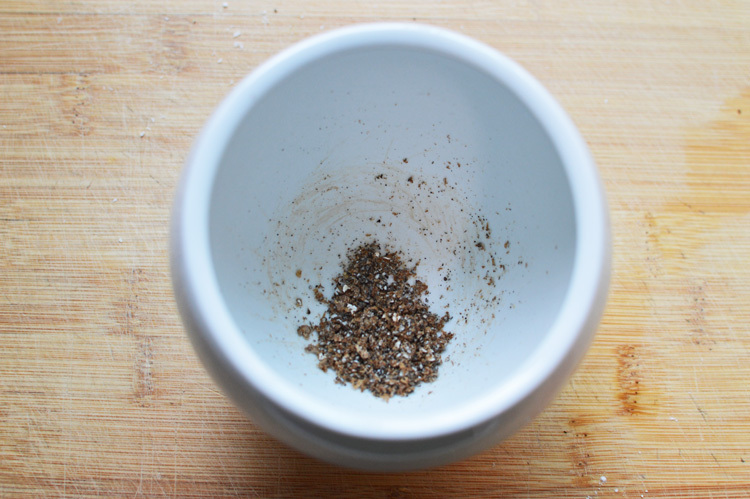 Put this mixture in a grinder and grind it for a couple of seconds. and you’ll get this. It’ll have faint whiffs of caramel, vanilla and cardamom. 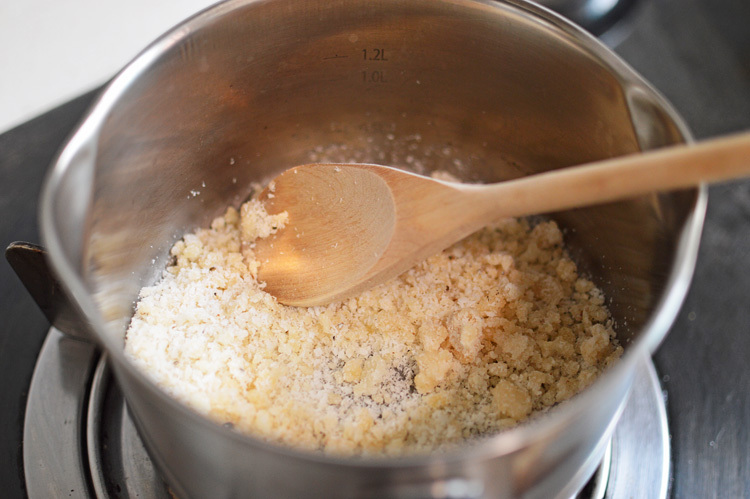 mix in the remaining sugar and reserve for stuffing. 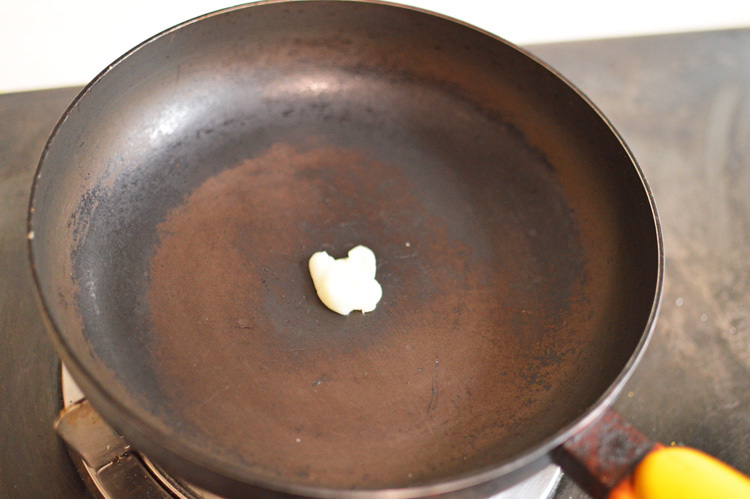 put your pan on a low medium flame and add a dollop of butter/ghee. 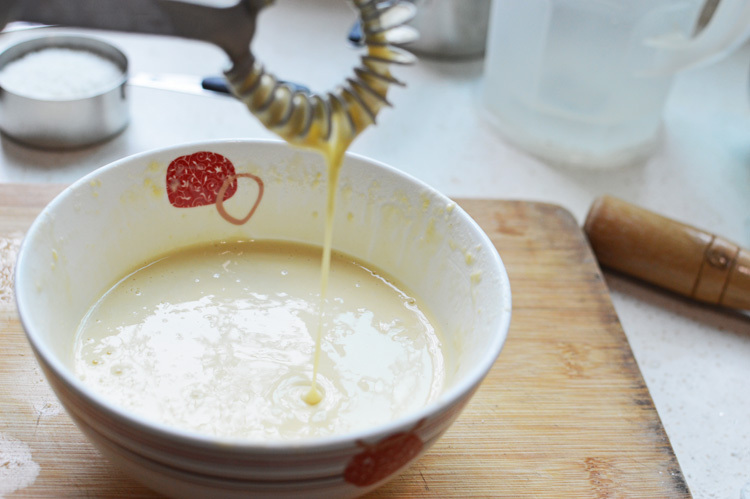 I’ve added ghee as per the recipe. 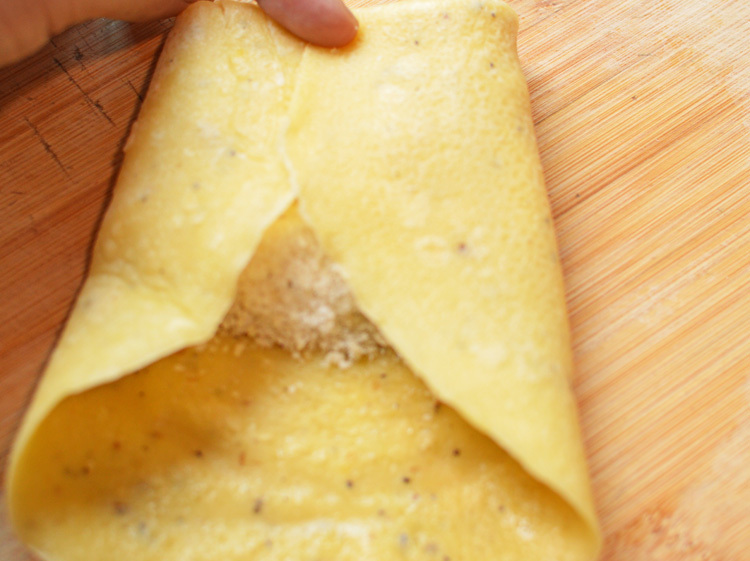 tilt it well to coat evenly. 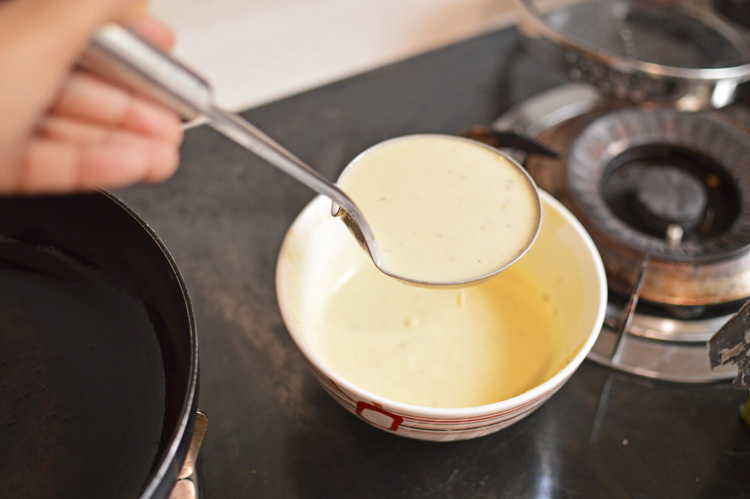 take a ladle full of your batter. spread as thinly as possible. 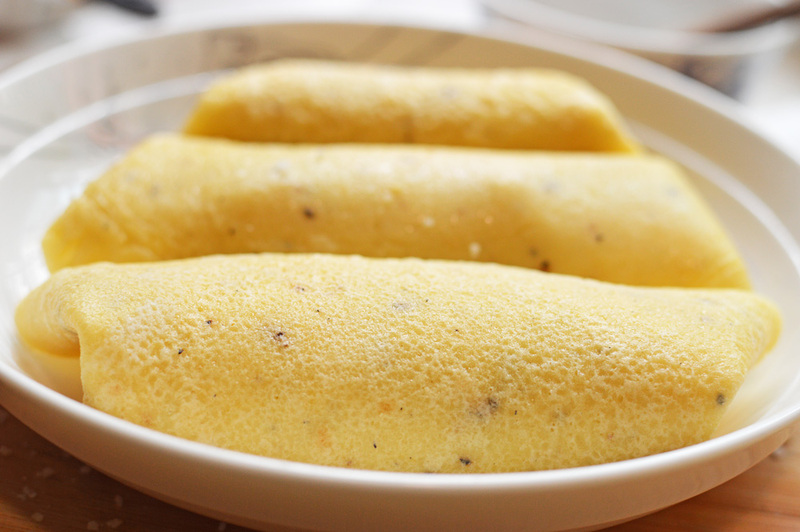 filling these crepes is fairly simple. and finally fold over to make neat little packages. arrange on platter of choice. 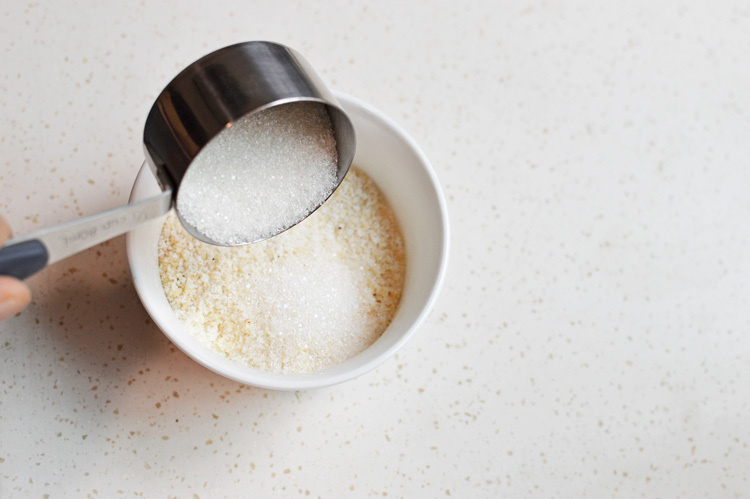 sprinkle on some castor sugar and sigh a little, because this might be your only chance at receiving any love letters, and devour them with milk, coffee, tea or just plain. this is what the insides look like. 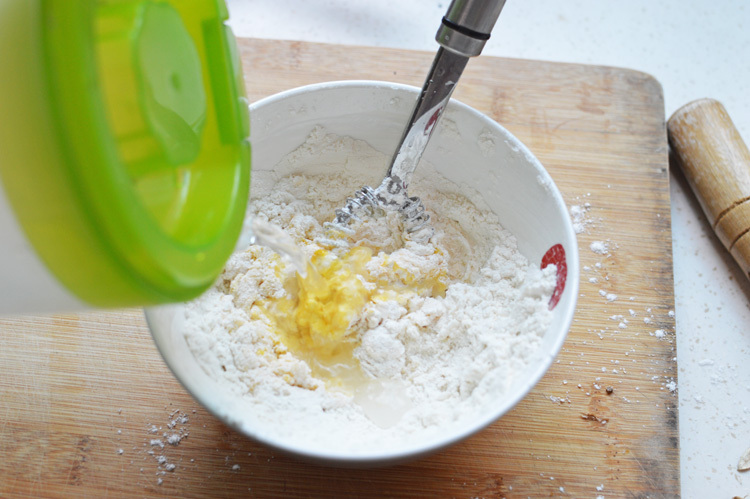 Preparation instructions: make a thin batter from flour, egg and milk. 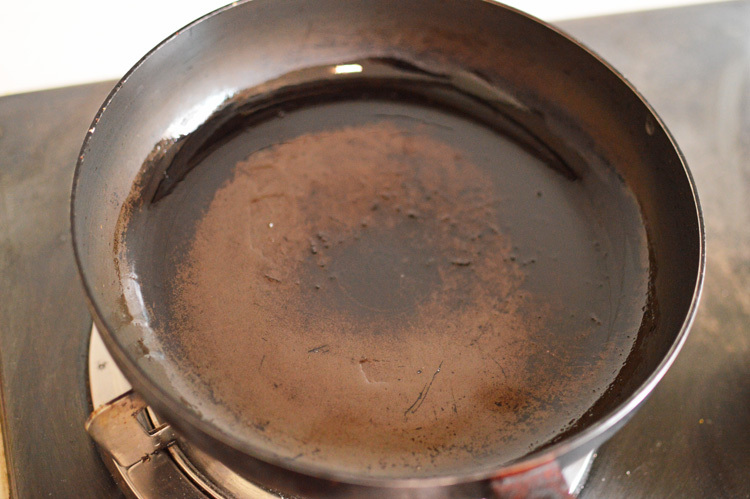 Add in 3/4ths the cardamom powder and reserve. 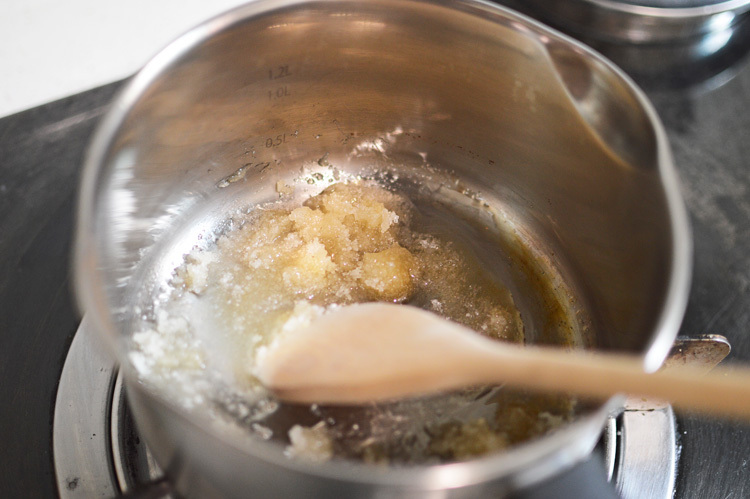 In a saucepan, lightly caramelize the vanilla sugar and half of the sugar from the recipe. 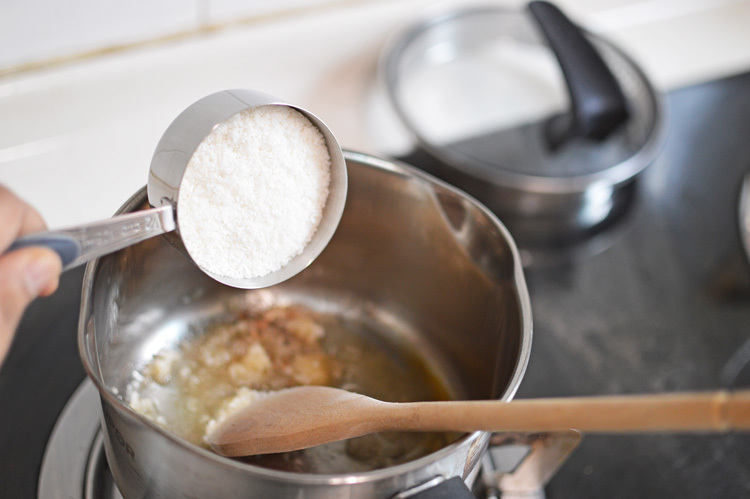 Just as it starts melting and turns light golden, turn off the flame and in remaining cardamom powder, and the desiccated coconut and mix. Grind this mixture and reserve. 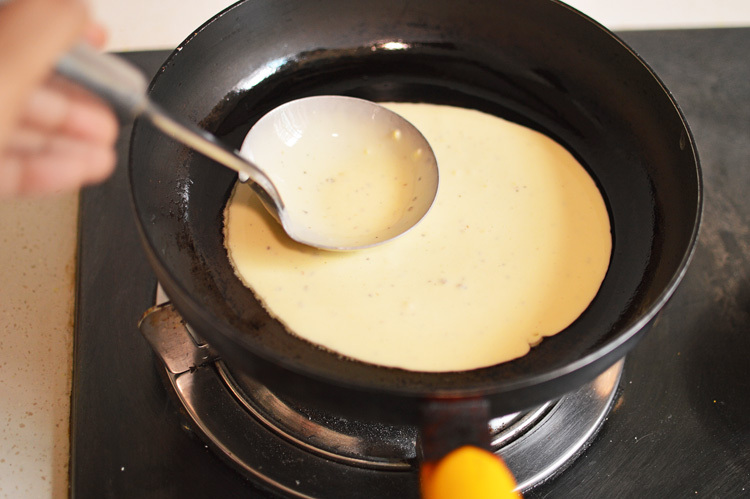 In a non stick pan, melt the butter/ghee over a low medium flame and pour a ladle full of the prepared batter. 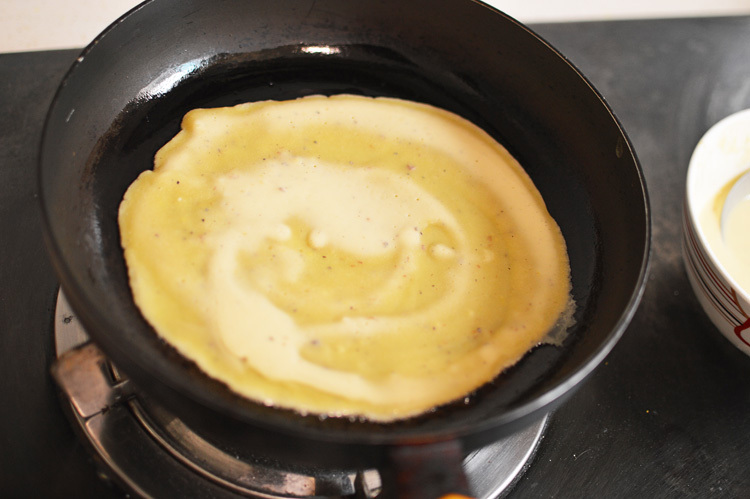 Spread evenly to form a thin crepe and flip to cook the other side. 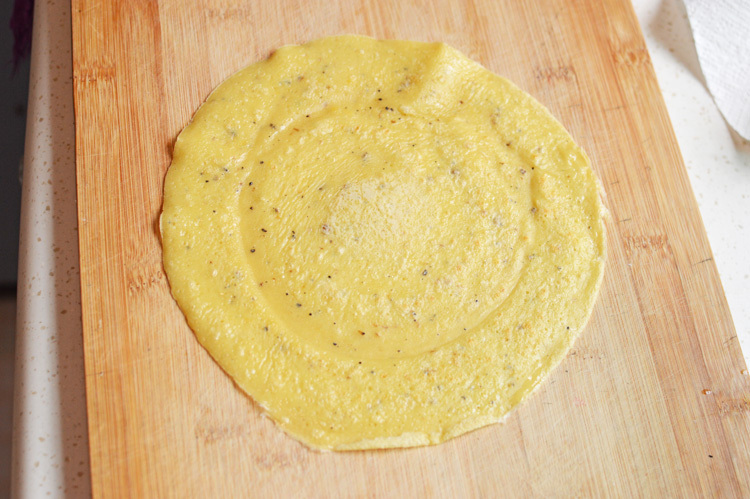 For filling, lay out the crepe and put a heaping mound in the middle. 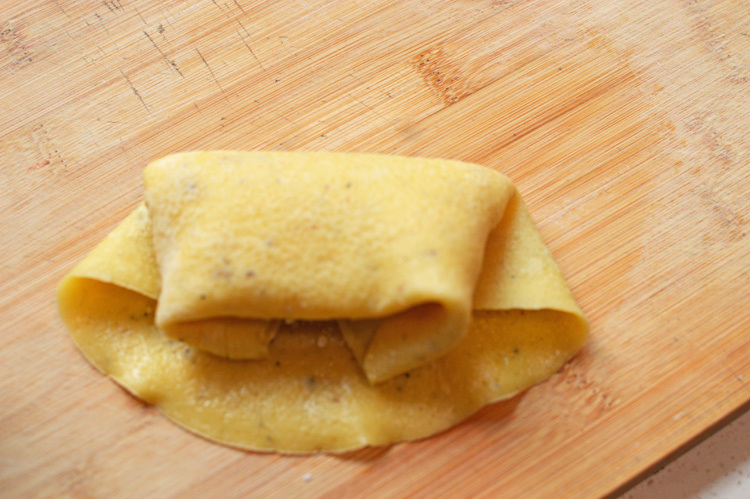 Fold over 1/4 of the top, then fold from both sides to pack and finally fold over from the top again to make a roll. 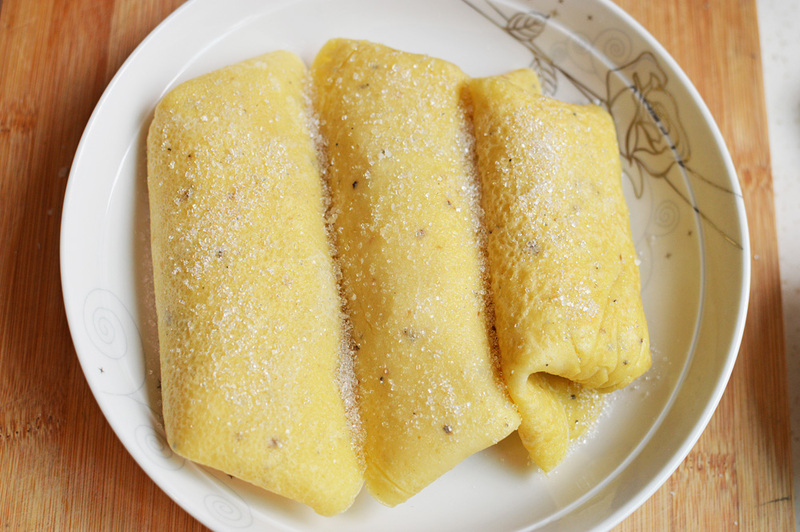 Sprinkle with castor sugar and serve warm.